Sorry guys, having a hard time finding the time to get to it. I really want to , but rtek sales are way down and I need to spend my time with consulting projects that will pay the bills. And this is the problem: no interest in furthering the product unless it makes money. Yet no one wants to buy one because it's so outdated. Kind of a catch 22 right? I have had mine for years and years and I was so excited to have this option at my disposal, and it seemed there was additional development being done. I remember when they updated the chip and I installed it myself. I remember talk of an AFM delete that garnered tons of interest. That was years ago. To be frank, I am dissapointed. I bought into this thinking it would be supported and developed and it seems it's been abandoned. I see advances being made everyday in ECU tuning on the Volvo homefront, from opensource projects to major tuners, pitching in and making the products better and easier to use. 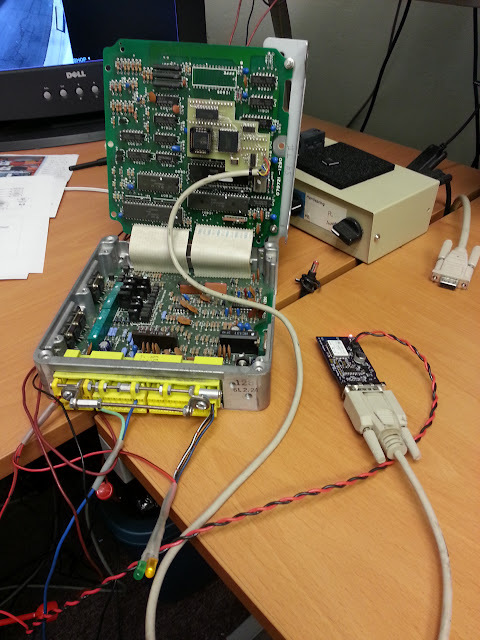 I watched a group of guys basically reverse engineer an entire ECU and bin files in a few days and share the info. Why not make this opensource if you no longer want to develop it and sales are dead?? At least that way the technology can continue to evolve and not just die with the palms. I have shared confidential information with people that expressed interest in working on it several times and nothing ever comes from it. Problem is there just isn't enough people out there interested in the Rtek to have a decent pool of coders.. I think what he is saying it that instead of sharing it with 1 or 2 people, just make the app open source at this point and concentrate on the hardware for sales. I don't know your code well enough to know if that would work, but if it is an option and putting up the work you have done might see some real progress made. Hell I was thinking of throwing out UI updates and upgrades too once it was done to have some different screens for monitoring and ease of use while driving. It looks liked you where really close with the app and you just needed the final touches for the app and adding the interfaces. Last edited by Dunnhopen; 06-03-13 at 08:12 AM. Someone asked me a few questions about Styletap, the Palm emulator for android. I think last time I looked into it, they didn't support serial coms. Well they do now and I tried it out. I did happen to try first with a special build that requests the BT connection. Not sure if the "standard" release version would work. But the special release is here: www.digitaltuning.com/software/rtek_bt.zip. Note don't install this on your actual Palm. It's slow. The interface is snappy, but logging is significantly slower. Logging 5 params, I'm getting 70s/sec. Usable. It requires Styletap....a $50 (!#[email protected]! )android app. Uhg. I looked at becoming a reseller but the first discount is at 20 licenses, and even then its still over $800. They do have a 14 day free trial. It also requires a bluetooth dongle. The one we developed and is ready for production works. But it's going to be in the neighborhood of $70. So you are looking at a $120 investment but you get wireless logger on your android phone. Who would be interested in this? Now according to Styletap, they have the exact same emulator for the iPhone. They claim it supports bluetooth but I have my doubts. Might be worth a try. BTW, as suggested, I do plan to put the current android code up on github so people can play. At this point I don't think I'll be getting any farther any time soon. Nothing is "tied" to anything. So you could use one dongle between the two ECU's (if you didnt mind moving it back and forth) and you can use one Styletap install for both cars. Android will store both BT dongles and you'll need to select one when it connects. I like it because we can use it as an in between for $50 since we would have to get the bluetooth dongle anyway. I look forward to the other software making it so we can actually make it native to android and see some real progress on a more long term solution that is faster, friendlier and prettier. Sign me up for the bluetooth dongle. That would be great. Maybe some of us could finish it or make a windows application of it if this would be ok for you. I don't have too much free time but i like the idea. I have to look how complex the communication and the whole project would be. Sorry didn't mean to steal your thunder. lol. Actually when I wrote that post I thought you had contacted me through the helpdesk system not PM. So sorry. also there's a setting that u have to change on StyleTap to allow the bluetooth device to sync to the styletap/rtek when opening the app. can email the file to whoever wants it with simple instruction instructions. This is not needed. 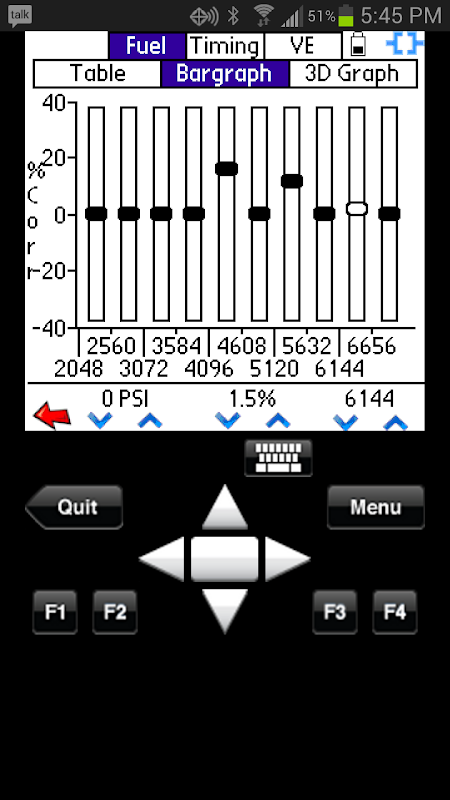 Use the Bluetooth version of the Rtek app I posted (www.digitaltuning.com/software/rtek_bt.zip) and it connects right up. All I did was install styletap from their website. Then used the web tools within styletap to install the rtek pocketlogger app. Worked without changing any settings or installing anything else. All I did was install styleapp from their website. Then used the web tools within styletap to install the rtek pocketlogger app. Worked without changing any settings or installing anything else. here's the video of the app working on a Galaxay Tab 2... it seem to have worked on almost all the tabs/views except for the bargraph. i've emailed Style Tap to see whats up with that... there tech support is really good and quick to respond. Location: Drifting a Roundabout near you! So if you don't have a Palm and you are new Rtek user, break down what the procedure is to do the engine startup on a new install with the Android instead of Palm. Guess I'm asking for is a Android version of the documentation. What is needed, hardware, software? I bought my Rtek 2.1 for my new install and it was because of the Android option coming out. thanks for all your efforts to make this happen. Does the bargraph screen work on your phone? It worked on my GS3. I will try it out on my vizio tablet. An interesting idea is that if you run it on an android device with internet, the Palm rtek software has internet access. This could probably be pretty easily utilized for easier map saving, "cloud" backups, as well as offline editing using a PC. Slammed_GSL: the instructions are pretty much in the previous few posts by righthandfc and myself. Once it's connected you follow the regular startup procedure in the rtek manual. I third this statement. I'm kind of waiting on a BT dongle to help me rationalize buying one. I have a Palm that I bought specifically for the Rtek 2.1 while I wait on funds but using an Android the whole time would be so much nicer. Nice progress guys, good to see it moving forward! Sorry guys. Last week was insanely busy. I was upgrading the energy storage system for a hybrid garbage truck from lead acid batteries to ultracaps. Cool stuff. In any case, this week I will work on getting a production run of these BT adapters going. I will try to get the price down as well. PC Boards for the BT dongle were ordered today. It will probably be a couple weeks to get the boards then they have to be assembled. So it's going to be several weeks, but they are coming.